With its direct access to the famous Norwegian fjords - one of the world's "Seven Wonders of Nature" - Bergen attracts a growing number of tourists from around the world. Bryggen, Bergen's Hanseatic-era quayside, is a UNESCO World Heritage Site. The buildings are a significant part of the historic wooden city of Bergen, and reminds us of the town's importance as part of the Hanseatic League's trading empire from the 14th to the 16th century. Bergen is a compact city, which makes it convenient for meeting delegates as everything is within walking distance. Bergen - The Gateway to the Fjords of Norway. 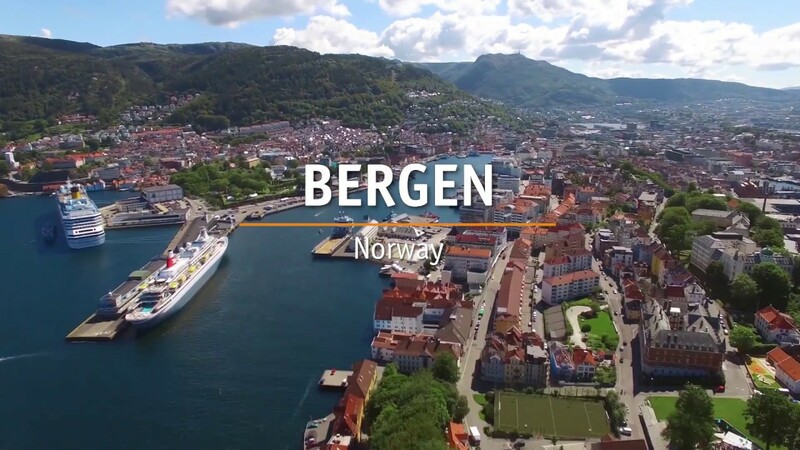 With its direct access to the famous Norwegian fjords - one of the world's "Seven Wonders of Nature" - Bergen attracts a growing number of tourists from around the world. Bryggen, Bergen's Hanseatic-era quayside, is a UNESCO World Heritage Site. The buildings are a significant part of the historic wooden city of Bergen, and reminds us of the town's importance as part of the Hanseatic League's trading empire from the 14th to the 16th century. Bergen is a compact city, which makes it convenient for meeting delegates as everything is within walking distance. We offer free, unconditional advice and assistance to anyone considering organising meetings, conferences or congresses in Bergen. We collect comprehensive information about hotels and meetings venues, including quotations. The Bergen Convention Bureau is part of Bergen Tourist Board. Bergen is a global maritime and marine centre with a diverse regional economy, including finance, technology, energy and education. The region has Europe's biggest concentration of marine research centres, and 50 per cent of Norway's salmon farms. Fly directly to Bergen from Copenhagen, Stockholm, New York, Helsinki, Amsterdam, London and many more. Bergen has 47 direct international flights and with the new airport terminal that opened in 2017 we are expecting an increase in direct flights to the city. Bergen Airport Flesland is located 18 kilometres south of Bergen. To get to the city, you can either catch the airport bus, the lightrail or grab a taxi. Stay in the city centre, near the airport, along the beautiful coast or by the famous fjords. There is a large selection of accommodation in Bergen which suits all budgets. Choose between 45 hotels in the city centre and the rest of the region – ranging from small, charming hotels to big chain hotels. Explore local traditions and history at more than 60 different attractions in the region. In Bergen you can visit popular attractions like Bryggen, Fløibanen Funicular, Bergen Aquarium or the famous Fish Market.